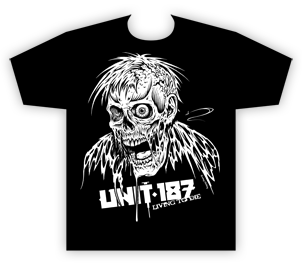 Welcome to the Official Unit:187 band website! 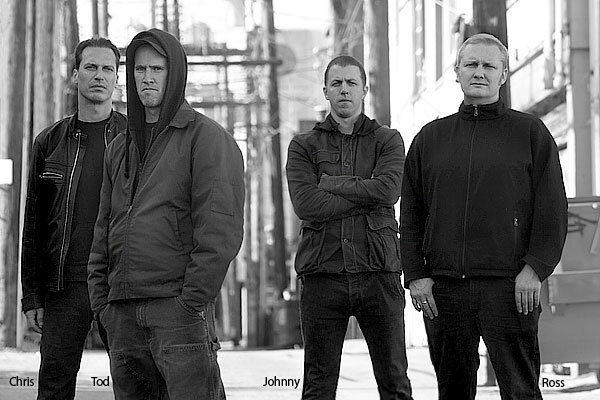 Founded in 1994 by John Morgan and Tod Law, Unit:187 spent less than a year in their Vancouver studio while playing live at local clubs before landing their first record deal with San Francisco’s seminal 21st Circuitry Records. A solid debut album followed up by several west coast US tours earned the band a respectable fan-base throughout Canada and the US. Their sophomore album, 1998’s “Loaded”, featured new band members Jed Simon (guitar) and Byron Stroud (bass) of Strapping Young Lad and was produced by Devin Townsend. The album yielded some instant industrial classics, such as the title track “Loaded” and “Stillborn” which was remixed for the album by Frontline Assembly’s Rhys Fulber. 2003 saw the band release their 3rd studio album “Capital Punishment”. Staying with the same line-up, but adding the additional talents of FLA’s Chris Peterson on several tracks, the album doesn’t disappoint, with Unit’s trademark synth riffs, movie samples, and driving guitars blazing full-tilt from start to finish. The album’s title track kicks off with a killer groove and mix by legendary Skinny Puppy producer Anthony Valcic. 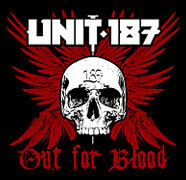 With a fan base growing internationally, Unit:187 has adjusted the current line-up for their upcoming 4th studio album, bringing on Chris Peterson full time and adding Guitarist Ross Readhead (Decree). The new album marks a new turning point for the band, working hard in the studio to produce raw heavy music that punches fist -first through the current trend of goth euro-cheese with a solid dose of old-school industrial that hasn’t been heard in years. Mixed by Skinny Puppy’s producer, Hiwatt Marshall, “Out for Blood” pulls out all the stops to musically and sonically pound your eardrums into a memorable pulp, while at the same time leaving you with sweet melodies to sing along to long after your sound system fails from transistor overload. NEW 'Living to Die" ZOMBIE SHIRTS AVAILABLE! Click image to see close-up. is available now, including signed CD, a screen printed fine-art quality poster and screen printed duvetyne patches!. Visit store link to buy. If you're viewing this site on a cellular phone, click here to preview songs.